Yard waste and debris pickup schedule for Sebastian and Vero Beach. SEBASTIAN – You can still see trees and bushes along the roadside in front of homes in Sebastian and Vero Beach, but picking up the debris caused by Hurricane Irma may take weeks to haul away, according to Indian River County officials. Crews are still going to homes in Sebastian and Vero Beach to haul away some of the brown vegetation from yard cleanups in the areas. It is estimated that there’s enough debris in Indian River County’s unincorporated areas to fill a truck more than 6 miles long. Regular weekly garbage and trash pickups are resuming in Indian River County. 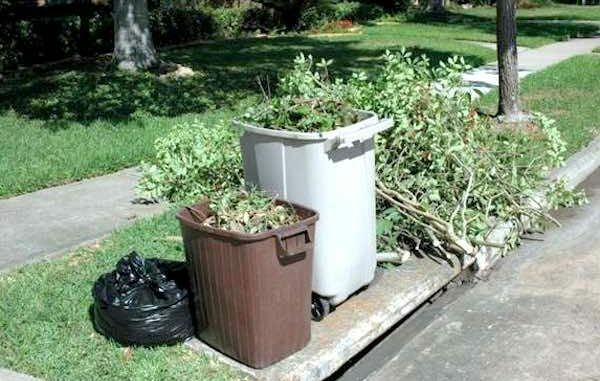 Waste Management is asking some homeowners to ties yard wastes into bundles for easier pickup. The county is asking residents to be patient, as some piles are being left behind for larger crews. Also, officials ask residents not to put garbage in the piles. For safety, residents are asked to keep debris at the edge of the road and not on sidewalks, fire hydrants, or power poles. Also, make sure the yard debris isn’t near power lines that could get in the way when hauling. The pickup schedule for private roads is being determined, and the county first wants to get approval from FEMA. Earlier this week, the Indian River County Commission agreed to ask for the approval. In the meantime, private subdivisions are being asked to submit a pickup form to the county. Where does all the waste and debris go? Yard waste from public roads is going to the county landfill off Oslo Road, south of Vero Beach. The county fairgrounds will be used for collections from private roads. All public streets in Vero Beach will be collected first, followed by private subdivisions. The city plans to post a collection map that will be updated daily at the City of Vero Beach website. The City of Sebastian is doing an initial pickup, followed by a second collection in two to three weeks. It will take time, but the process is a lot faster than it was during Hurricane Frances and Jeanne.